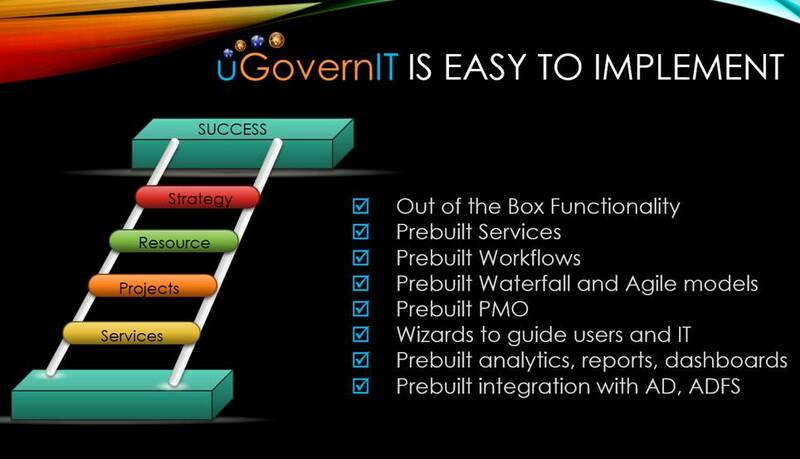 Startup uGovernIT makes an “ERP for the CIO” product of four interrelated modules for the management of IT. It is aimed at the SMB enterprise CIO, and specifically midmarket firms--not the Global 2000/Fortune 500 market world of SAP and Oracle. Described below, the modules interrelate strategy, resource planning and execution, the management of projects and service delivery. There are several reasons for Infrics.com coverage of this company. 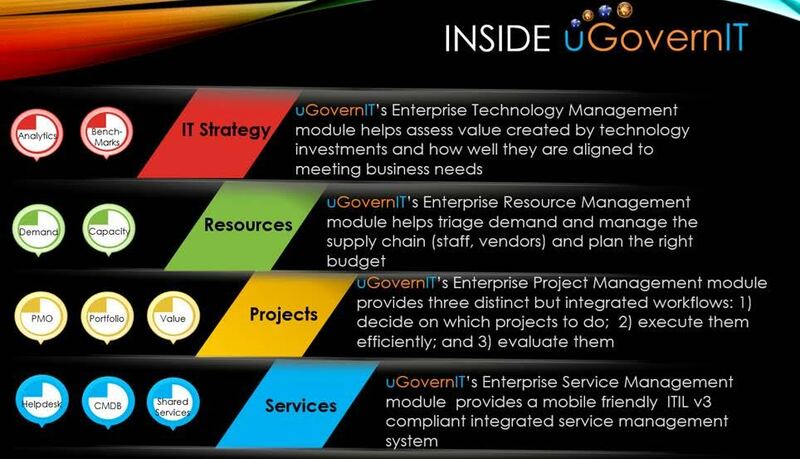 In many ways the uGovernIT business model, sales, and service delivery approach mirrors trends you’ve seen in Infrics reports since 2011. There is no local app installation of uGovernIT. It is all delivered through a web browser. That means that out of the box, it’s enabled for virtually any enterprise laptop, desktop, tablet, or mobile device. The heart of the stateless computing idea is that the processing power lives in the cloud, while the result is consumed by a device that provides connectivity, display, and user interface, nothing more. This can be incredibly attractive for the enterprise CIO: quick, low cost deployment with predictable lifetime TCO. One of the main characteristics of enterprise software that inhibits innovation is complexity. While each of uGovernIT’s functionality modules can be customized, the workflows, forms, charts, and interfaces are streamlined versions of their very expensive big enterprise counterparts, and can be used by a small or midsize company to begin adding value from day one. By design, one of the disruptive ideas this company puts forth is “good to go” without months of IT division customization and planning. The company sells a service, not a product. On the one hand, they defy the expectation that a tech startup is staffed by fresh-out-of-college high achievers with designs on the consumer space. On the other, they challenge the legacy of the big software and hardware companies that rely on pre-digital (and fading) models of the enterprise IT department.